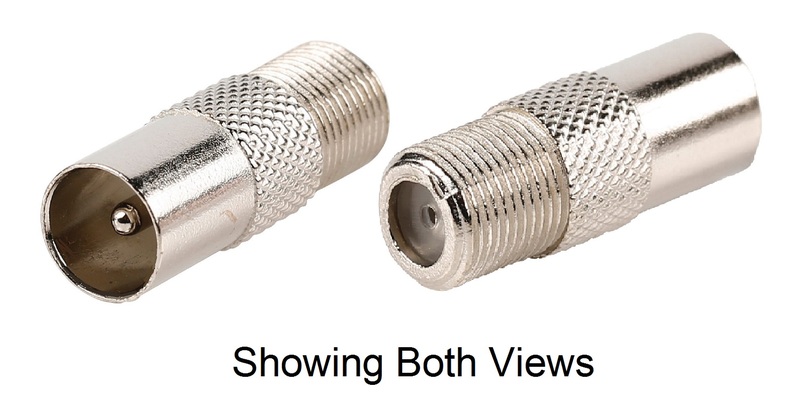 Adaptor: Coax (TV aerial) socket (female) to F (Satellite or Cable TV) socket. All metal. Joins a Coax Plug to and F Plug.